Surf & Sand is a stunning setting for weddings, celebrations, and events. Enclosed by 5 acres of beautiful, tranquil park-like settings, you will find the only disturbance to be the sound of the waves. Situated at the end of an 11 kilometer stretch of land reaching out parallel with the beach and Ohiwa Harbour – the jewel in the crown – tucked in behind us, we are perfectly placed for your special event. Just 15 minutes from central Whakatane and only 25 minutes away from Whakatane airport. 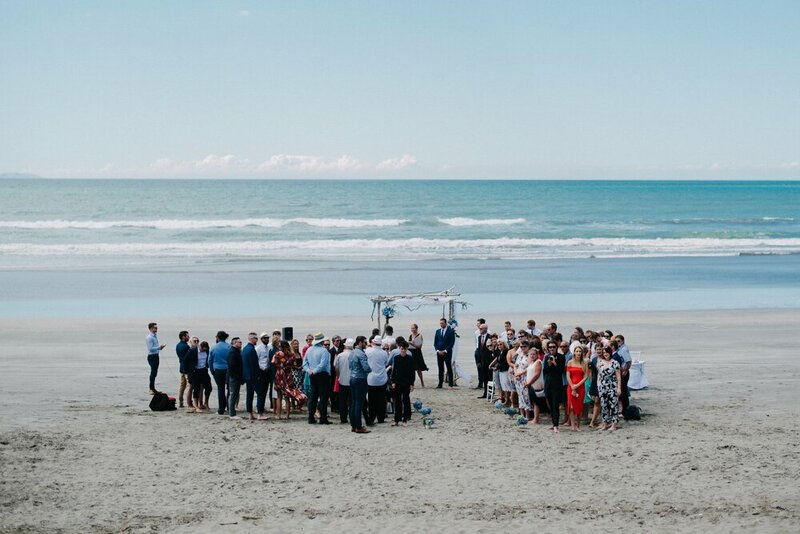 Surf & Sand is undoubtedly one of the best wedding venues in the Eastern Bay of Plenty. Plan your wedding between Waitangi weekend and the weekend before Christmas and you can be guaranteed to have 5 acres of park-like surroundings on the beach, EXCLUSIVELY yours – Your Day, Your Way. One of the best venues in the Bay of Plenty. Not only is the actual location of the venue and its surrounding 5 acres of park ‘right on the beach’ an envied location, it proudly owns several titles. Ohope Beach is ‘ NZ’s most loved beach’, it has retained the TOP sunshine hours for several years now and runner up for several more plus we are officially the Kiwi Capital of NZ.